If you are in possession of a High Nelly, be a part of history & help raise funds for cancer patients. Contact: 086-1794000 Attracta Doherty Pink n' Gold Fund. 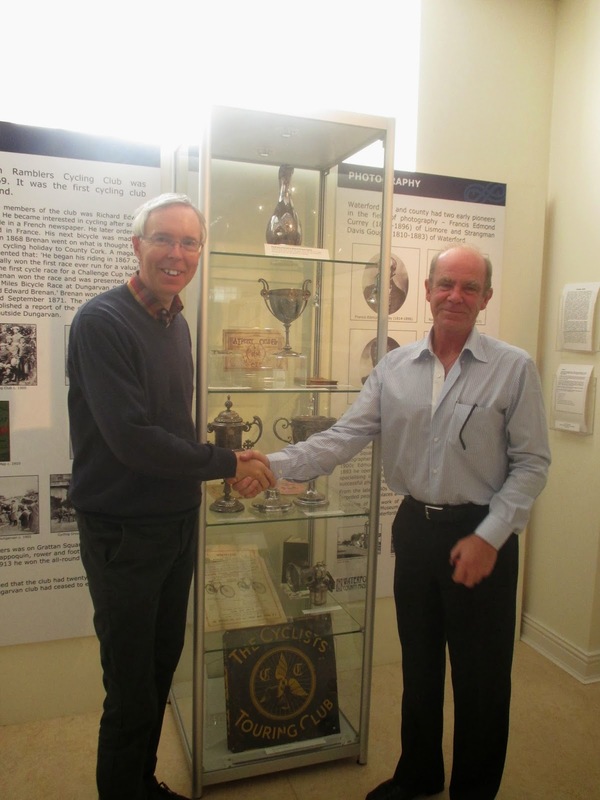 Kevin Doherty recently visited the Museum and viewed the memorabilia relating to the local cycling clubs of the past.